Seems a new "Supreme Head" of the Nyingma has been elected. 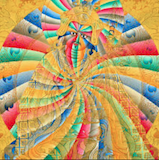 Taklung Tsetrul Rinpoche... to be ratified by H. H. the Dalai Lama. Does anyone know whether there was a tradition for the Nyingma head to be ratified by the Dalai Lama before the Chinese invasion of Tibet? Or is this something that started within the community of Tibetan refugees? I didn't think there was a Nyingma head before the exile occured. No Nyingma head before H.H. Dudjom Rinpoche. Kyabje Dodrupchen Rinpoche was recently (as in this month) approached before Taklung Tsetrul Rinpoche but He declined due to age. May Taklung Tsetrul Rinpoche live for hundreds of eons and may His Dharma activities flourish and expand. Kyabje Taklung Tsetrul Rinpoche kindly accepted to be head of Nyingmapa School. A request letter offered by H. E. Shechen Rabjam Rinpoche, H. E. Minling Khenchen Rinpoche, H. E. Kathog Getse Rinpoche, representative from Namdrling Monastery Ven. Khenchen Tsewang Gyatso, representative from Dzogchen Monastery and two Nyingmapa representatives to Tibetan Government in exile, on 6th March 2012 in Shimla. It will be officially announced after the audience with H. H. Dalai Lama. Kyabje Taklung Tsetrul Rinpoche was born in central Tibet in the Western year 1926. Recognised as an incarnation of the great master Ngok Chöku Dorje, he began his studies at the age of five in the monastery of Taklung Tse. At the age of eight, he was invited to become the throne-holder of Dorje Drak. There, he underwent rigorous training, becoming proficient in all rituals and arts, and receiving the complete teachings and empowerments of the Northern Treasures. At the age of twenty, Kyabje Taklung Tsetrul Rinpoche received the complete empowerments and transmissions of the Rinchen Terdzöd, as well as other transmissions, from the previous Kyabje Shechen Rabjam Rinpoche. After the invasion of Tibet in 1959, Kyabje Taklung Tsetrul Rinpoche was forced to leave Tibet. In exile, he has continued to seek out and receive teachings and transmissions from numerous masters, including HH the 16th Gyalwang Karmapa, Kyabje Dudjom Rinpoche, Kyabje Dilgo Khyentse Rinpoche, and others. Kyabje Taklung Tsetrul Rinpoche now resides in the town of Shimla in India, where he has established a new Dorje Drak monastery in exile, and leads the community there. When I was twenty I received the complete empowerments and transmissions of the Rinchen Terdzö and others from the previous Shechen Rabjam Rinpoche. From the retreat master at Mindroling and from the previous Lalung Sungtrul Rinpoche, I received most empowerments and transmissions for the treasures of Padma Lingpa, and from Golok Chewo Rinpoche I received all the transmissions for the Seven Treasures and other teachings of the omniscient Longchen Rabjam. At Dorje Drak I received all of the empowerments and transmissions for the higher and lower Changter treasure teachings, as well as Kama (oral) teachings, and instructions on the nature of mind. I became the khenpo of Dodrak Monastery for several years, and then was requested to return to my own Taklung Monastery. Two similar topics have been merged. Something I've often wondered....why is it neccesary to have a 'Head of Nyingma'? Where and when does 'Nyingma' need representing, given that it is really just a collection of lineages with their own heads and who all take care of their own affairs. Or is it because every one else has one? Or a continuation of something that was necessary 40/50 years ago with all the upheavals and re-settling at that time? Whatever...it's testament to the vast compassion of Kyabje Taklung Tsetrul Rinpoche, who at his age and in his health is still tirelessly transmitting teachings around the world. I'm sure he could have done without a political role added to his workload. MrDistracted wrote: Something I've often wondered....why is it neccesary to have a 'Head of Nyingma'? Does anyone know what the role actually entails? and is useful as a rallying point for our otherwise scattered energies. The distinctive feature has been that we elect our "best and brightest,"
more than our separate lineage or specific terma tradition. If the heads of the six mother monasteries of Nyingma feel the need/usefulness of having a head, then far be it from me to question that. There was not a head until the communist regime invaded Tibet and large groups of Nyingmas fled to India. Then, due to issues arising regarding exile communities, and preserving the tradition, it became clear that a head was needed to have someone represent the interests -- both mundane and spiritual -- of Nyingma refugees. The one person that all Nyingmas unanimously felt total faith and confidence in was HH Dudjom Rinpoche, and he accepted and was officially appointed by HH the Dalai Lama-- since the Tibetan Govnt. in Exile was headed by HH Dalai Lama. Since then, it has become a tradition, and probably is still useful in various ways.